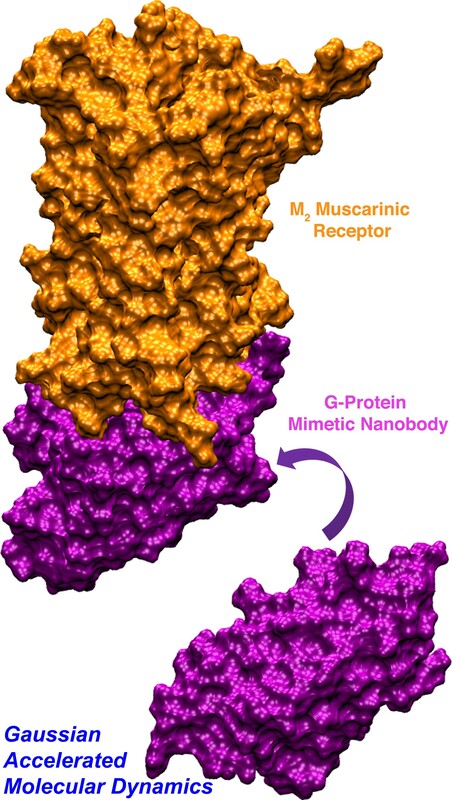 For the current study, the researchers used a nanobody that’s proven—via a static X-ray image—to be capable of binding to a M2 muscarinic acetylcholine receptor (or M2 mAChR), a molecular switch located on cell membranes that plays a key role in heart rate and contractions. In particular, drug designers have begun to aggressively search for allosteric modulators to fine-tune medications that bind to GPCRs. These GPCRs [ZJ1] act like an inbox for messages in the form of light energy, hormones and neurotransmitters and perform an incredible array of functions in the human body.